The Ministry of Land, Infrastructure and Transport said on Monday that it would also refer the case to prosecutors to decide if criminal charges were necessary. The crisis of BMW (BMWYY) in South Korea erupted in the summer, when scores of reports came bursting in its vehicles in flames. The German automaker said the fires were the result of a problem with the exhaust systems of the cars and began to test endangered vehicles. But a government-established investigation committee found that BMW was trying to hide the problem, and then took too long to recall the 172,000 vehicles involved, according to the Department of Transportation. In a statement on Monday, BMW said it had triggered the recall "immediately when the cause of the fire was identified". The allegation was not based on the claim that the automaker had initially tried to cover up the problem. BMW highlighted that the government's investigation reached a similar conclusion as the company's cause of fire: flaws in the vehicle's exhaust gas recirculation module, part of a system that recirculates fumes into the engine to reduce pollution. In South Korea, nearly 40 BMW were caught in the summer, but no deaths or injuries were reported. At one point, the government ordered local authorities to prohibit drivers from driving one of the potentially fire-prone cars that had not been brought to the control. The company said Monday it was "difficult to complete the recall." South Korea "as soon as possible" and apologized "for the fears and inconvenience that the customers have experienced." 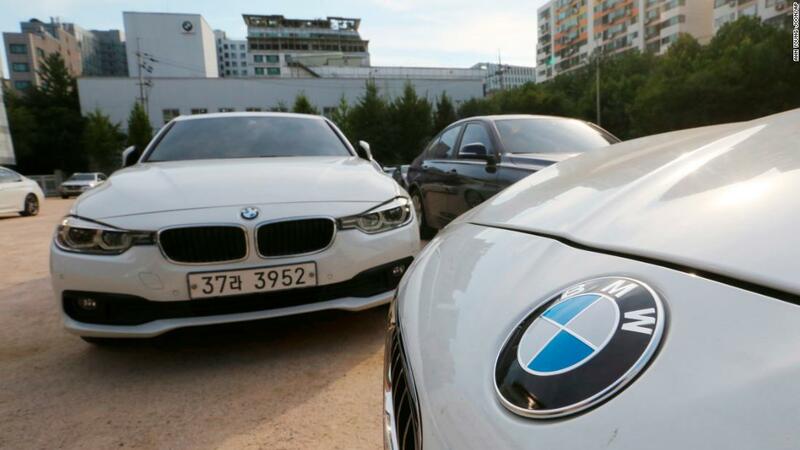 Last year, BMW was the second most popular brand for imported automobiles in South Korea, selling close to 60,000 vehicles Automobile Importers & Distributors Association, according to Korea. The German company sold more than 2 million vehicles worldwide last year.